Ryan M. Roy is a Managing Director at Ankura Trust Company with more than 15 years’ experience in the global financial industry, focused on restructuring, turnaround, and special situations as well as on structured products. He is based in Boston, MA. Ryan has held active roles across multiple creditor classes as a principal, both leading and actively participating in bankruptcies and out- of-court restructurings related to companies in a broad range of industries, including energy, industrials, retail, telecom, and financial services. His professional experience in turnaround includes participation at the board level of reorganized companies across several industries where, again as a principal, he was active in developing and implementing strategies that were value-maximizing for stakeholders. 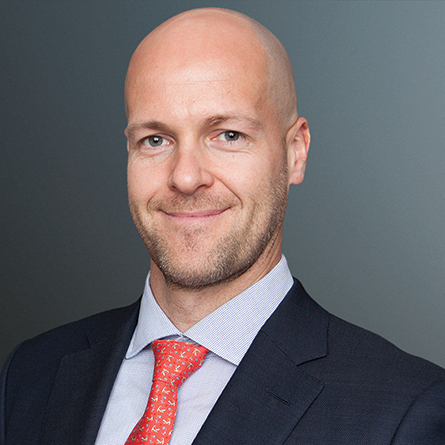 Before joining Ankura, Ryan spent over nine years with Barclays Bank PLC, where he held leadership roles in both the Credit Restructuring and Advisory/Special Situations and the Global Financial Risk Management – Structured/Complex Products groups. As a director of the former, he managed over $1 billion of distressed and special-situation principal positions. In this role, Ryan was active in every aspect of numerous restructurings, both in court and out-of-court from negotiating economic splits among creditor constituencies to resolving post-reorg governance issues to developing and executing turnaround strategies at the board level. Ryan was also part of a small team that led restructuring negotiations in a multibillion-dollar international bankruptcy where Barclays was chair of the official committee of unsecured creditors. Further, Ryan was involved in the development and execution of strategies for the purposes of protecting and optimizing Barclays balance sheet, which included managing related sales processes. In his previous role at Barclays, Ryan performed risk analysis on structured and complex transactions, managing a portfolio of over $20 billion exposure across various asset classes and sectors, including participating in structuring and managing one of the largest loans ($12.6 billion) ever made by Barclays. He joined Barclays in 2008 from Bank of America, where he spent five years in New York and London focused on equity derivatives, fixed income derivatives, and structured products risk management. Before joining Bank of America, Ryan began his career as an analyst with Lehman Brothers.